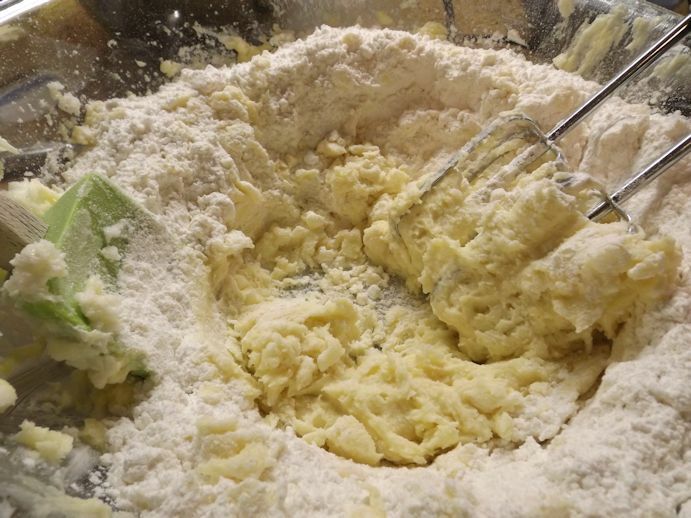 Stir together the flour, baking powder and salt. In another bowl beat butter and shortening together. Add sugar and beat until fluffy. Add eggs, milk, and vanilla; beat well. Add dry ingredients to sugar mixture and beat till well combined. Cover and chill 4 hours or overnight. Working with 1/4 of the dough at a time, roll on a lightly floured surface to 1/8-inch thickness. Cut into shapes with cookie cutters. Place on a lightly greased cookie sheet and bake at 375 degrees for 8 minutes or until the edges are golden brown. Allow to cool. 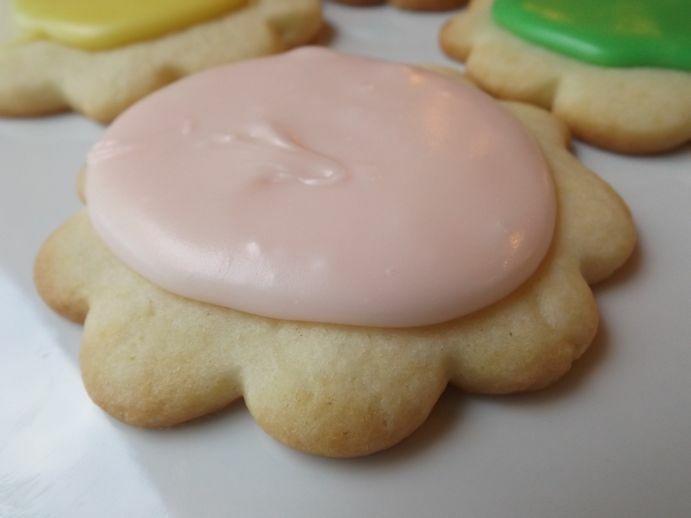 Frost with butter frosting or glaze. Here are a few pictures of the process. I’m adding the flour to the butter mixture. Scrape the sides often. 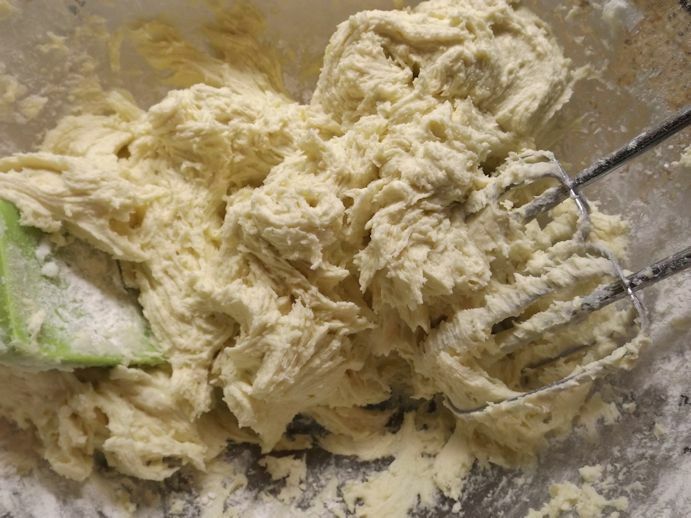 The dough is really soft after it’s all the flour is incorporated. You really do have to refrigerated it if you want to roll it out for a cutter. 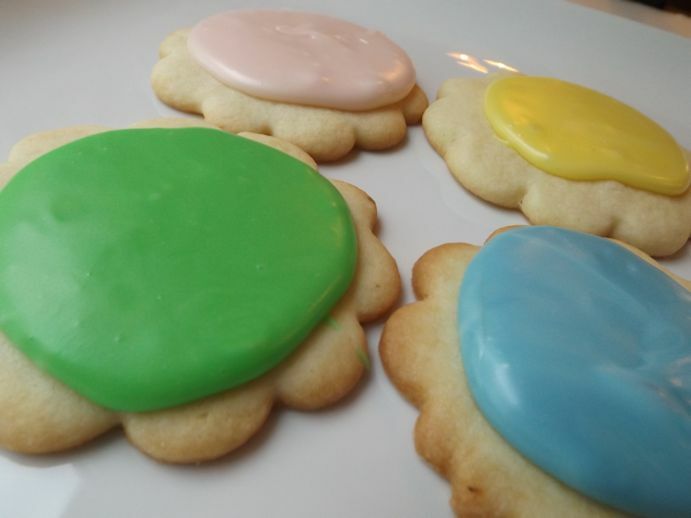 If you want to make drop cookies, you can use it right away. 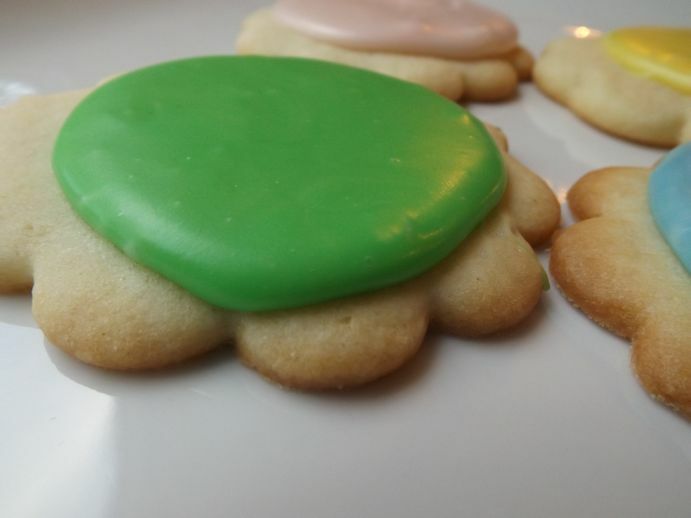 The frosting I used in the photos is not the same as the recipe given today. I used a glaze. Basically, the difference is that I melted the butter and milk first and added less powdered sugar. I did add vanilla at the end. 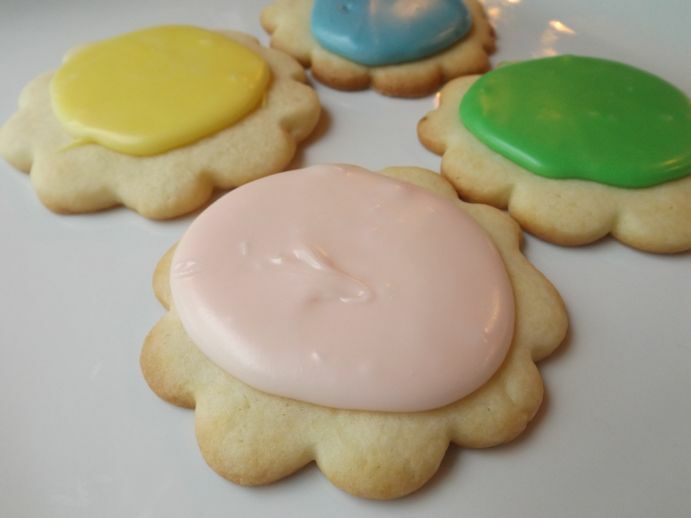 As the butter and milk cools, the frosting sets into the very yummy puddles of frosting. These cookies freeze well, too. I like to take them for lunch or pull some out for dessert during the week. These look yummy! I am going to have to bake some!